The focus of Robert Mueller's Kangaroo probe needs to be Loretta Lynch if he was really interested in actual obstruction of justice. A blind man could see Lynch is guilty of it. Will Mueller see the same? 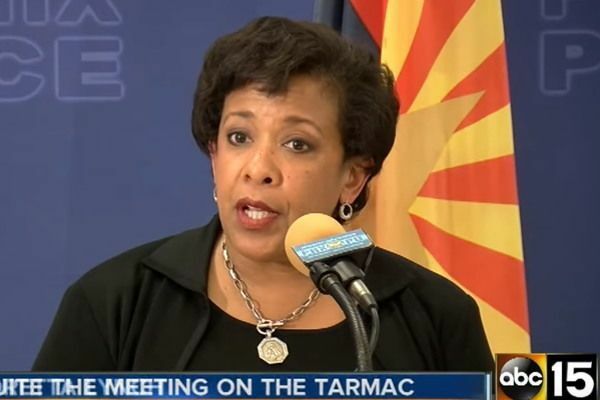 Gateway Pundit reports former Attorney General Loretta Lynch is denying allegations she assured the Clinton camp that the FBI’s email probe would not go too far. This directly contradicts Comey’s claim that Lynch did interfere with the 2016 presidential election by assuring Hillary’s camp that the probe would be halted. Fired FBI Director, James Comey had a SECOND meeting with former Attorney General Loretta Lynch where he confronted her about her election interference. During the conversation, Comey told lawmakers he confronted Lynch with a highly sensitive piece of evidence, a communication between two political figures that suggested Lynch had agreed to put the kibosh on any prosecution of Clinton, Circa News reported.